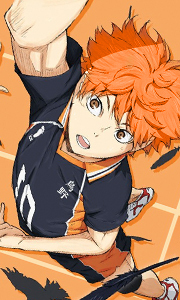 Own Haikyu!! Season 1 Collection 1 - Episodes 1-13 Blu-Ray from Deff, DVD, Blu-Ray & 4K Video Specialists - Free UK Delivery..
Own Haikyu!! Season 1 Collection 1 - Episodes 1-13 DVD from Deff, DVD, Blu-Ray & 4K Video Specialists - Free UK Delivery..
Own Haikyu!! Season 1 Collection 2 - Episodes 14-25 Blu-Ray from Deff, DVD, Blu-Ray & 4K Video Specialists - Free UK Delivery..
Own Haikyu!! Season 1 Collection 2 - Episodes 14-25 DVD from Deff, DVD, Blu-Ray & 4K Video Specialists - Free UK Delivery..